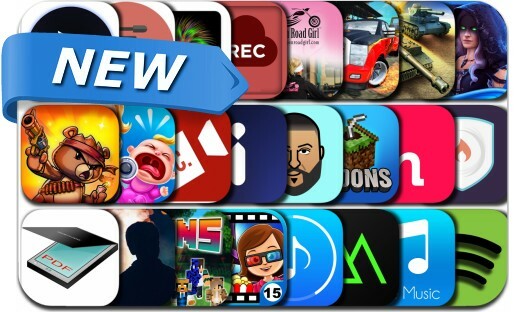 iOSnoops is constantly on the lookout for new apps, and here are 24 iPhone and iPad apps that were released recently. This new apps alert includes Dream Defense, War Machines: 3D Multiplayer Tank Game, iScanner for Me - PDF Document Scanner, Video Recorder Screen Touch, My Town: Cinema, Skins Pro, musical, Free Music Play, Crazy Nursery and many others. Jump from platform to platform and do as many flips as you can! Just tap and hold the screen to charge and flip-jump with your character. Try not to fall down! Collect gems to unlock new characters. What's your best score?